Tina Cassidy writes about women and culture. In addition to Mr. President, How Long Must We Wait? 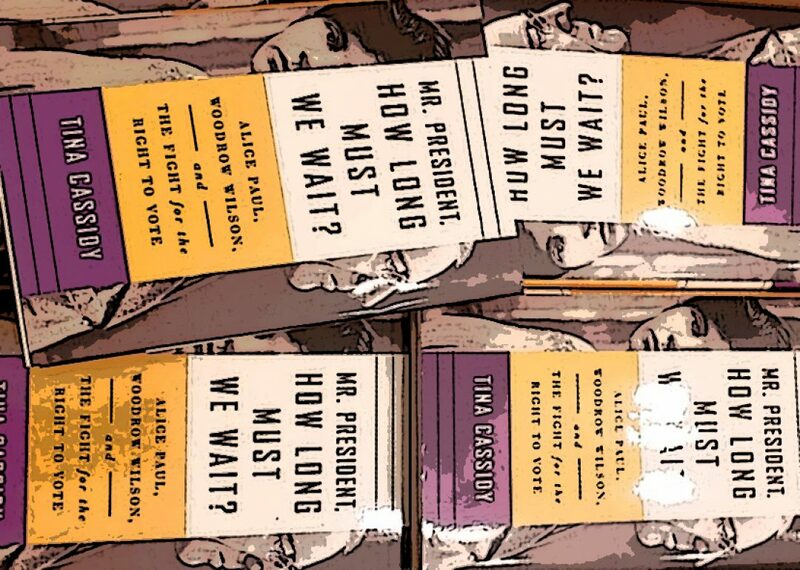 Alice Paul, Woodrow Wilson and the Fight for the Right to Vote, she is the author of Birth: The Surprising History of How We Are Born; and Jackie After O: One Remarkable Year When Jacqueline Kennedy Onassis Defied Expectations and Rediscovered Her Dreams. A former journalist who spent most of her career at the Boston Globe covering business, fashion and politics, she is the Chief Marketing Officer of WGBH. Cassidy serves on the board of the New England Center for Investigative Reporting. She lives in the Boston area with her husband, the author Anthony Flint, their three sons, and a Norfolk Terrier named Dusty. So they have these swings outside 30th Street Station which is perfect for when you miss your train and have 6 hours to kill.